Born in the 70s in the Champagne region of France, Olivier has always been effervescent and bubbly. After completing four years of art school, he worked as an illustrator for books, posters, and magazines, and has since found his niche as a contemporary painter. 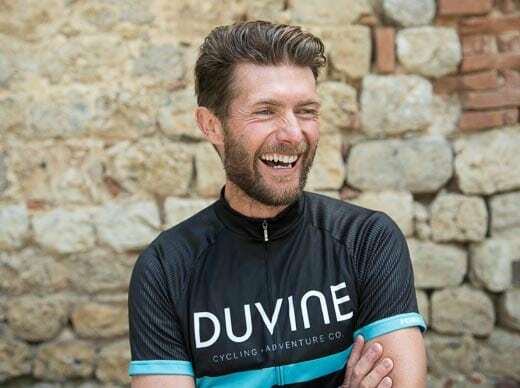 To share his visual expression of the country and his lifelong passion for biking, Olivier became a cycling guide and now splits his time between the canvas and cols. Olivier also enjoys hosting people at his bed and breakfast, which he runs with his wife and two lovely daughters in the South of France. His motto: life is good; don’t forget to live each day as the last one!